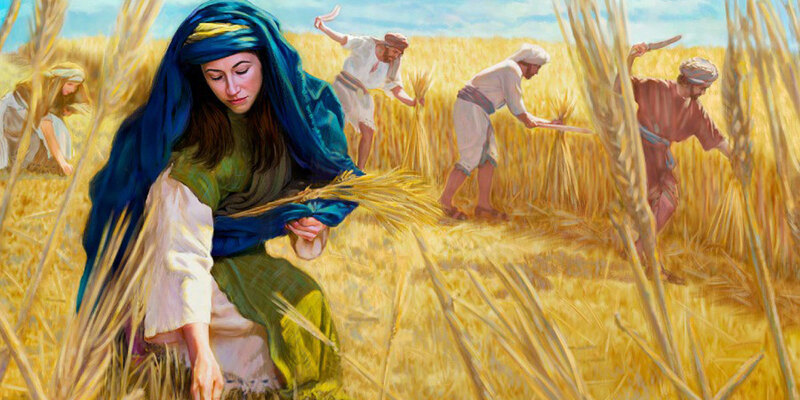 The book of Ruth recounts the story of Ruth, a Moabite, who moved to Bethlehem with her mother-in-law Naomi (Ruth 1:19). While there, Ruth met Naomi’s relative Boaz (2:3), whom she eventually married. In marrying Ruth, Boaz performed “the part of a kinsman” for her (3:13). The phrase, “do the part of a kinsman” can also be translated as “redeem,” and the kind of “redemption” we see in the book of Ruth can help us understand how Christ redeems us, as explained in the Book of Mormon. One of the most important of these functions, as Spackman has observed, was buying back (redeeming) a family’s land that they had sold because they were too poor (Leviticus 25:25–34) members of the family that had been sold into slavery for the same reason were also bought back (vv. 47–50). Another element of being a redeemer was the Levirate law of marriage in which a man married his brother’s widow whose children would be born in the deceased brother’s name, as one sees in the book of Ruth. These kinship duties were also extended to those outside the tribe through covenants, which one also sees in Ruth. This meant, according to Spackman, that terms like father, brother, or uncle that reflect this idea of covenantal kin, terms we might usually think of as purely biological today, acquired a slightly different meaning: “they often identify people who are kin through covenant.” In this way, those outside the family could be symbolically brought into the family through covenant, as though they had always been family. This Israelite idea that covenants could establish a family-like relationship between people who were not biologically related was also extended to God, which explains the odd personal names in the Old Testament. Ancient Israelites, may well have thought of this relationship when they approached God in prayer, and “when in need of help, they called on God and expected him to respond because they were kin.” Ultimately, whether someone was actually kin or was made kin through covenant, it was the kinsman’s responsibility to redeem or buy back both family land and family members that had been sold. And when ancient Israelite’s asked for God to redeem them, they were considering Him to be their kin through the covenant relationship they had with Him. Benjamin Spackman, “The Israelite Roots of Atonement Terminology,” BYU Studies Quarterly55, no. 1 (2016): 39–64. Gerald N. Lund, “Plan of Salvation, Plan of Redemption,” in Encyclopedia of Mormonism, ed. Daniel H. Ludlow, 4 vols. (New York, NY: Macmillian Publishing, 1992), 3:1088–1091. 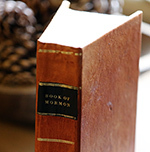 For more on redemption in the Book of Mormon, see Book of Mormon Central, “How Are Atonement, Resurrection, Judgment, and Redemption Interconnected? (Mosiah 3:17),” KnoWhy 275 (February 15, 2017). T. Benjamin Spackman, “The Israelite Roots of Atonement Terminology,” BYU Studies Quarterly 55, no. 1 (2016): 52. Spackman, “The Israelite Roots,” 52. Spackman, “The Israelite Roots,” 53. Spackman, “The Israelite Roots,” 54. Spackman, “The Israelite Roots,” 55. Spackman, “The Israelite Roots,” 56. Spackman, “The Israelite Roots,” 57. For more on the role of the Redeemer in the Book of Mormon, see Book of Mormon Central, “Why Are There So Many Different Names for the Plan of Salvation? (Alma 42:5, 42:8, 42:13, 42:15),” KnoWhy 312 (May 12, 2017). Spackman, “The Israelite Roots,” 59. Spackman, “The Israelite Roots,” 62. Spackman, “The Israelite Roots,” 62–63. Spackman, “The Israelite Roots,” 63. See Gerald N. Lund, “Plan of Salvation, Plan of Redemption,” in Encyclopedia of Mormonism, ed. Daniel H. Ludlow, 4 vols. (New York, NY: Macmillian Publishing, 1992), 3:1088–1091.